“FRANK DISCUSSION ABOUT PAST MUST AID DISCUSSION ABOUT PRESENT..."
Deacon Andrei Psarev with his family. Fr. Andrei, thousands of people read your site. Tell us a little about your site, about the materials it contains, etc. The idea to create the site occurred to me while I was searching for materials for a book on Archbishop Leontii of Chile. The wife of a friend – our webmaster – offered to make the site and I thought that I could use it to attract attention to my project. This was in the fall of 2008. In the course of my work, I realized that, in order to attract visitors to the site, it would have to be updated. Thus appeared the “ROCOR Articles” section, which is now the site’s principle component. Here we post articles about the history of ROCOR, interviews with historians of the Russian Church Abroad, and with those who are ready to speak informally about today’s problems. In the “Lives of Bishops” section, we post biographies of ROCOR bishops. We also have a photo gallery and a few audio recordings. Why and for whom is it important to have this site? Foremost, I hope that it is important for our Russian Church Abroad. Because frank discussion about the past must aid frank discussion about the present. Since January 2009, we have had 21 thousands visitors from fifty countries. We have 300 subscribers. Materials from our site are republished across the Orthodox Internet. For example, our interview with Sister Vassa was republished on ROCOR United; Mind in the Heart ; Suzieannah’s Journal ; The Russian Orthodox Church Outside of Russia; TV SPAS; Edinoe Otechestvo; Russian Digest of LiveJournals; Kievskaia Rus; Pagina oficia a Prea Sfintitului Petru, Episcop de Hancu, Vicar al Mitropoliei Chisinaului si Intregii Moldove; Bogoslov.ru: Pod Pokrovom Bogoroditsy; Russkaia Pravoslavnaia Tserkov’ Zagranitsei. Who works on the site – uploading materials, tech support, etc.? Our webmaster Olga Barsukova designed the site in such a way that I can easily update it myself. Materials for the “Lives of Bishops” section are the fruits of the selfless labor of one Michael Woerl, a ROCOR parishioner, who has for many years been deeply interested in its history. Unfortunately, at the present time he is out of work and is in a difficult situation. Thanks to a grant from the Fund for Assistance, we are able to purchase a laptop for him, so that he can continue his work. Where do you get your materials? Who creates and edits them? The site gives me an opportunity to realize my ideas. I have to edit the materials myself, which, of course, has its drawbacks. There isn’t enough critiquing or advice. My wife Masha helps – for instance, she received an interview with Fr. Georgy Mitrofanov. Our Russian Church Abroad has so rich a history that, even if I worked [on the site] eight hours a day, five days a week, I would still have something to say. The website’s format is convenient for discussing any issue relating to ROCOR. Once this is done properly, the issue can be reviewed from every angle (check this sentence). A dialogue takes place between our past and our present. This is particularly evident in Archpriest Pimen Simon’s interview with Sister Vassa. Our site is informal – only one private person is in charge of it. As such, it is possible to avoid any overt formality, and freely discuss topics of interest to people. Who might one call the portal’s principal users? English-speaking U.S. residents. 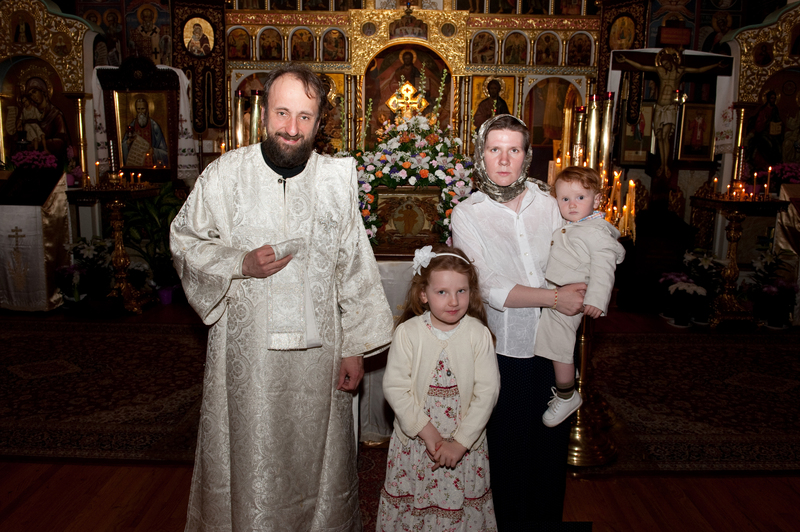 Here you find American converts to Orthodoxy, as well as people of Russian descent who have been living here for two or three generations. How is the site upkept? Updating the site would be far more difficult without the financial assistance provided by ROCOR parishes in Washington, Erie, and Princeton. Special thanks go out to Archpriest George Zelenin. Without the help of the Fund for Assistance, it would be impossible to update the site twice a month. Here I must also thank our webmaster for donating her time, as well as all those who have worked for us, answering interview questions and preparing materials for us. What would you like to change about the portal’s work/format? I hope that we can find people interested in helping with work on the site. Then we could achieve far more. Updating the site twice a month. Hosting video interviews with ROCOR historians. Maybe one day the site can become a vehicle for something greater. Perhaps the ROCOR Synod’s Historical Division? What advice would you give to fans of ROCOR history or members of ROCOR in general? I would like for the study of history to always be a projector, shining light on the problems of our present day, forcing us to reject stereotypes and not see events only through our own social prisms. Could you comment and explain what attracts you to remain forever a deacon? An awareness of my spiritual unpreparedness to rise up to the next, priestly level of divine service forces me to speak of “eternal deaconhood.” In antiquity, Christians served the same way our clergy serve today – they communed every Sunday of the Body and Blood in two species, and confessed regardless of how often they communed. And so, having become a deacon, I felt myself a Christian. I hope that my service will not aid in judgment against me. It helps me not to cleave away from the Church, and to continue to feel myself a member of Her. I am still interested in academic research work, the kind which I feel mixes poorly with priestly service, which requires the whole man without exception.